Some address it Keoladeo National Park and some define as Ghana National Park; the Bharatpur Bird Sanctuary, a World Heritage Site, is the perfect home to almost thousands of birds all across the world. Located in Bharatpur, Rajasthan, it's a famous Avifauna Sanctuary that hosts almost thousands of birds especially in winter season to find the migratory species. Amazingly, at least 230 species of birds have made this sanctuary their favorite home and is the most favorable and protected zone for them. Nesting indigenous water birds and migratory water birds specifically the Siberian Crane, the Bharatpur Sanctuary also boasts with many species of Sambar, Chital, Nilgai and Boar. It is the major tourist spot for most of the ornithologists today during hibernal season. Bharatpur Sanctuary is one of the oldest wild reserves in India and was created 250 years ago when it was named after the Keoladeo (Shiva) temple within its boundaries. 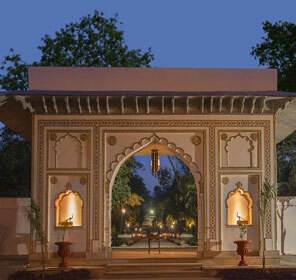 Earlier, the park was a traditional hunting spot for the Maharajas of Bharatpur in the year 1850. It was a tradition to shoot many ducks in the lake of the reserve in the honor of the British viceroys. In 1938, over 4273 birds including mallards and teals were killed by Lord Linlithgrow, the then Governor General of India. After independence, the royal beings were allowed to shoot here but in the year 1982, every such activity was completely banned and resultedin the clashes between the local farmers & Gujjar communities and the Government. It was considered as the world heritage site in December 1985. The park is also referred as Ghana National Park since 'Ghana' means dense referring to the thick forest that covers the whole Bharatpur area. 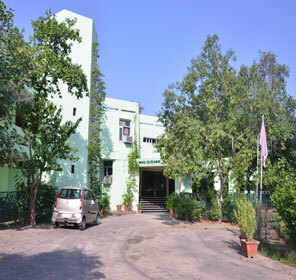 The numerous counts of the bird species are the major attractions for the tourists in Bharatpur. These species fly through distant places like Siberia and Central Asia specifically in winters. Migratory birds at Bharatpur Bird Sanctuary include several species of Cranes, Pelicans, Geese, Ducks, Eagles, Hawks, Shanks, Stints, Wagtails, Warblers, Wheatears, Flycatchers, Buntings, Larks and Pipits, etc. Along with that some major counts of Sambal, Chital, Nilgai and Boar can also be found at the sanctuary. The forest in Bahratpur is semi-arid biotype with significant vegetation and that is why the sanctuary is termed as 'Ghana'-thicket. Principally it is a dry deciduous forest type, intermixed with dry grassland in the area where the forest has been degraded. Along with that the forest is also being covered with medium sized trees and shrubs. The north-east region of the forest is being ruled by kalam or kadam (Mitragyna parvifolia), Jamun (Syzygium cumini) and Babul (Acacia nilotica). The open woodland is mostly babul with a small amount of Kandi (Prosopis cineraria) and Ber (Zizyphus). The open woodland is coveredwith babul with a small amount of kandi and ber. Scrublands are dominated by ber and kair (Capparis decidua). Piloo (Salvadora oleoides and Salvadora persica) are virtually the only woody plants found in areas of saline soil. The aquatic vegetation is rich and provides a valuable food source for waterfowl. The scrublands are filled with Ber and Kair and the soils are greatly alluvial with some of the clays being formed as a result of periodic torrents. The annual precipitation at Bharatpur zone is 662mm, with rain falling on an average of 36 days per year. In Bharatpur, mostly the macro invertebrates like worms, insects and mollusks can be found in abundance which are mostly can be found n aquatic marine. These insects are the common foods of the birds and the fishes of the marine world and bring a major link in the food chain with a good control in the ecosystem. . Land insects are in abundance and have a positive effect on the breeding of land birds. Basically a bird paradise, the Bharatpur Sanctuary boasts almost 370 bird species. This sanctuary is an ideal host for so many bird species because of its strategic location to attract migratory waterfowl in the Indian subcontinent before dispersing to various regions. In addition, the wetland is a wintering area for massive congregations of waterfowl. It is the only regular wintering area in India for the Critically Endangered Siberian Crane. A perfect blend of Mughal and Rajputana style of architecture, the Baharatpur Palace was built in different phases by different kings. The palace is entrancingly decorated with amazing interiors and designs with patterned floor tiles. The museum at the center displays the 2nd century art and skills of the state and the region. The "Iron Fort" is specially conceived and designed so that it may last longer;and amazingly justified by its name the Lohagarh Fort stood strongly against many attacks by the British. This fort is quite different from other forts in the state in terms of construction and appearance. Although not quite attractive but the fort radiates an aura of strength and magnificence. It is surrounded by a moat which was once filled with water to prevent the enemy attack. There are many attractive monuments inside the fort built by Raja Suraj Mal to commemorate victories over the Mughals and the Britishers. These monuments are Kishori Mahal, Mahal Khas, Moti Mahal, Kothi Khas, Jawahar Burj and Fateh Burj. The amazing Ashtadhatu (eight-metal) gateway has paintings of huge elephants. 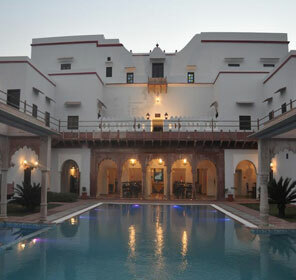 Within the Lohagarh Fort, the building- Kamra Khas has been converted into a museum that displays a rich collection of antiquities, exquisite sculptures and some ancient inscription. These sculptures reflect the art and culture of that era and the inscriptions are of immense value as they trace the royal lineage and local life. 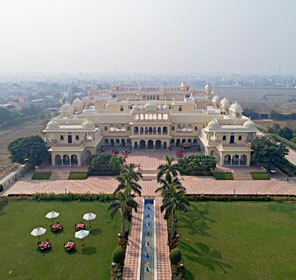 The Deeg Palace is an amazing fort built by Raja Suraj Mal that stands majestically over a slightly elevated point and is surrounded by impressive moats, ramparts and gateways. One can find the interiors in the ruined position but the watch tower still exists in the vigil position keeping an eye over the city and the palace. Many canons and guns of ancient periods of different rulers can be found at this palace to remember as a victory over the neighboring palaces. The whole Bharatpur Sanctuary is being spread with well defined forest trails and can easily be covered on foot or on a cycle. Motor vehicles are not allowed inside the vicinity but you can hire a rickshaw available there. You can also enjoy an early morning or late evening boating trip to add more excitement to the birding tour.